The TakeAway: New iPhone XBRL application opens new windows into financial reporting; next up: sustainability reporting. Apple’s iTunes Store has joined the digital revolution in financial reporting. Yesterday, it rolled out a new offering – it wasn’t a song, movie, or audio book, but instead an iPhone application for XBRL – or eXtensible Business Reporting Language, which tags data, making it much easier to analyze and compare. 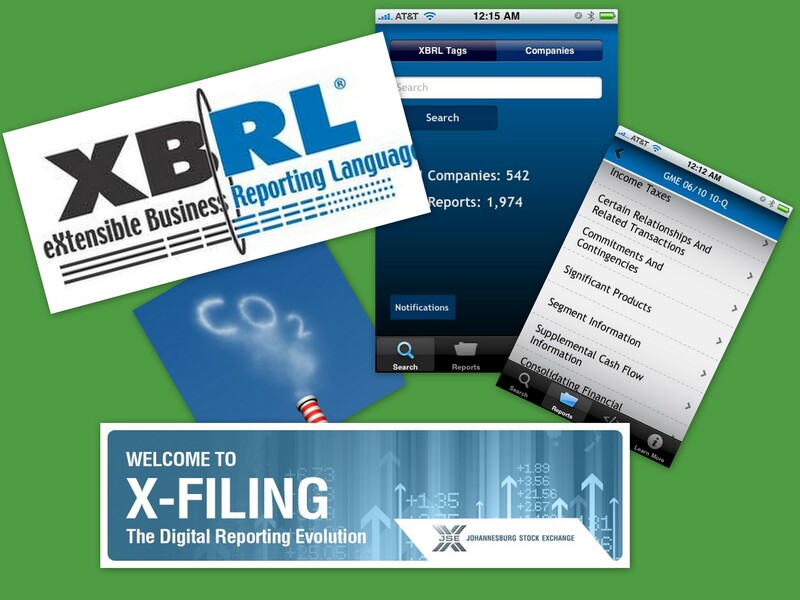 Thanks to XBRL US Labs who supported its creation, you now can download a simple demonstration model of XBRL to your iPhone, and then access, search, and share information contained in public SEC disclosures submitted in the newly-required XBRL format—or X-filing. XBRL takes the business world a giant leap into the Semantic Web – the next stage in the development of cyberspace. Rather than static paper or .pdf reports, XBRL allows us to keep tabs on companies’ financials – a next step leads toward tracking corporate sustainability, and, eventually, what governments and NGOs are doing, too. But let’s not get ahead of ourselves. 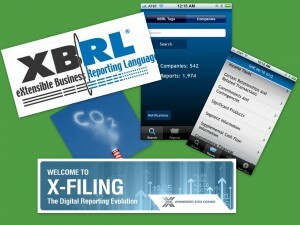 The Brix Project, an initiative of XBRL US Labs, created the iPhone app. Brix developers want to mobilize a “multi-disciplinary crowd to advance the usability of XBRL” and are crowd-sourcing this project to obtain feedback—a smart move, as it shares the workload, accesses diverse ideas, and spreads activism on making corporate reporting more transparent and accurate. The mainstream press largely ignores XBRL, perhaps because of its technical complexity, but we consider it one of the most important developments in communication technologies, akin to the emergence of HTML for the Internet. (HTML allows you to read this, and many other Web pages.) To simplify, think of XBRL in two ways: as a concrete framework for financial reporting, and as a language for expressing concepts. Most XBRL experts consider it a financial reporting methodology, but it also enables users to explore the oceans of data on entire business systems include not only quarterly earnings and return on investment, but also energy consumption and carbon emissions, board qualifications and diversity, and supply chain data. Because the first letter “e” in XBRL is for “extensible”, XBRL is, by definition, pliant—it is as flexible as language itself, and can evolve with the times. At its core, XBRL is a way of communicating concepts, according to Liv Watson, a pioneer in the field and a friend of The Murninghan Post. Creators of XBRL taxonomies – the things that holds all the tags together, much like a cathedral made of bricks – decide which concepts they want to include in a given taxonomy, Watson and her colleague Charlie Hoffman wrote in XBRL for Dummies, a primer on the subject. (Many consider Hoffman as the “Father of XBRL”, and Watson is one of the founders of XBRL International.) Watson, an ardent advocate of the Semantic Web, told us she agrees that XBRL is pretty complicated now – after all, not everyone has an accounting background – but as more people realize its utility, particularly for sustainability reporting, they will embrace it. As part of the larger push toward greater transparency and interactivity, the SEC now requires companies to submit their reports using XBRL so you can access, search, and compare information without having to scour the entire filing. (The iPhone app will deliver this data to your phone, soon after the SEC receives it.) All companies attach the same “tag” (currently, there are 17,000 of them) to a specific data point, so there’s consistency across sectors, geographic regions, and time periods. Over time, this will enable a more sophisticated analysis and evaluation of corporate data, which you can “call up” with a click of the keyboard—or, as iTunes did yesterday, on your smartphone. We can’t wait until the XBRL app is available for Android users! This entry was posted in Corporate Reporting, Interactive Technology, Public Policy, Web 2.0 and tagged Apple, Brix Project, Charlie Hoffman, crowd-sourcing, GRI, integrated reporting, iPhone, Johannesburg Stock Exchange, Liv Watson, SEC, Semantic Web, smartphone, taxonomy, X-filing, X-tagging, XBRL, XBRL International, XBRL US Labs. Bookmark the permalink.